The Black Friday Book Deal: We have copies of Zion, Dayne Sherman’s new Louisiana mystery novel, signed and numbered (1-500) for $20 each with free shipping, and we’ll pay the sales tax. All additional copies are $10 each. We also have first additions of Welcome to the Fallen Paradise (paperbacks) for the same $10 price. All purchases help make Accendo Books a sustainable micro-press. You can pay through PayPal or check. [PP - accendobooks@gmail.com or Accendo Books, 1905 W. Thomas St., Ste. D., 137, Hammond, LA 70401]. Let us know if you have any questions. Thank you and please share. Sherman’s first book was very good. This one is better. I happen to live in the real-world parish upon which the fictional Baxter Parish is based and Sherman has truly caught the character of the people in southeastern Louisiana. Even though the novel is set in 1964 and 1974, the area is still much the same as in the story. Church, family, work, hunting, and scandal are the pillars upon which the community is built. Into this rich background Sherman has dropped some truly memorable people. On top of that he’s layered a pulse-pounding mystery. The book is a rich gumbo of excellent ingredients combined with great care. I think you’ll find it very tasty. On Friday, November 14, from 5-6 PM, Dayne will be on the Jim Engster Show on 107.3 FM in Baton Rouge and elsewhere through the Louisiana Radio Network. Jim is one of the best interviewers in the business. Please call in ( 1-877-217-5757 -or- jim@engstershow.com). Jam-packed with local color, Dayne Sherman strives to continue the tradition of William Faulkner, Eudora Welty, and other writers who rooted their human dramas in the soil of rural America. 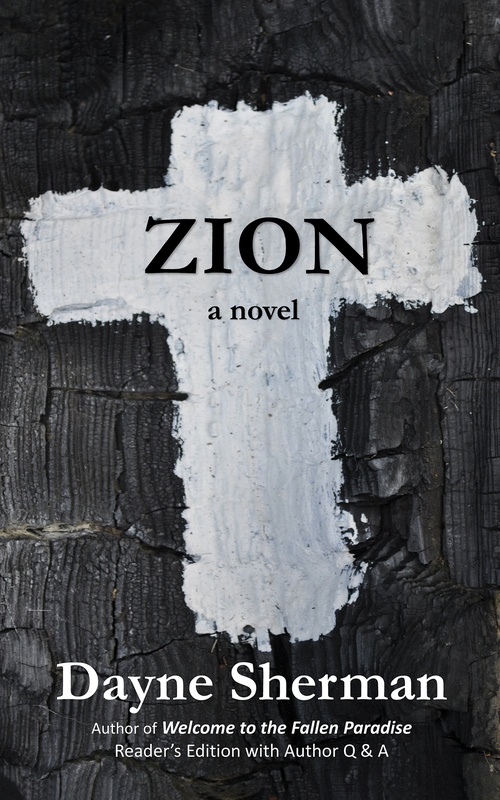 Zion paints a vivid picture of the rural South of another era. 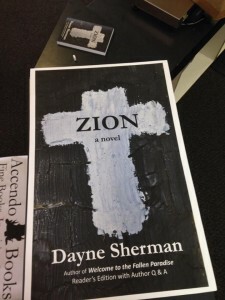 Sherman shows readers the dark side of rural southern life: the small town corruption and cronyism, the racism, and the religious hypocrisy, but, thankfully, he does not stop there. Nobility is there too, and that is one of this novel’s strengths. It avoids the extremes of demonizing the rural southerners (a popular pastime these days) and excessive romanticizing of the “good old days.” Not all of his “bumpkins” are stupid. Tom, his main character, is a self-educated scholar even though his intelligence might not be obvious to outside observers. (My great-grandfather was that kind of rural intellectual. He was a mailman and subsistence farmer, but he read history books for fun.) I confess it took me a couple of chapters to really warm up to the characters, but once the story started moving, it was worth the wait. Is anything better than a good mystery? 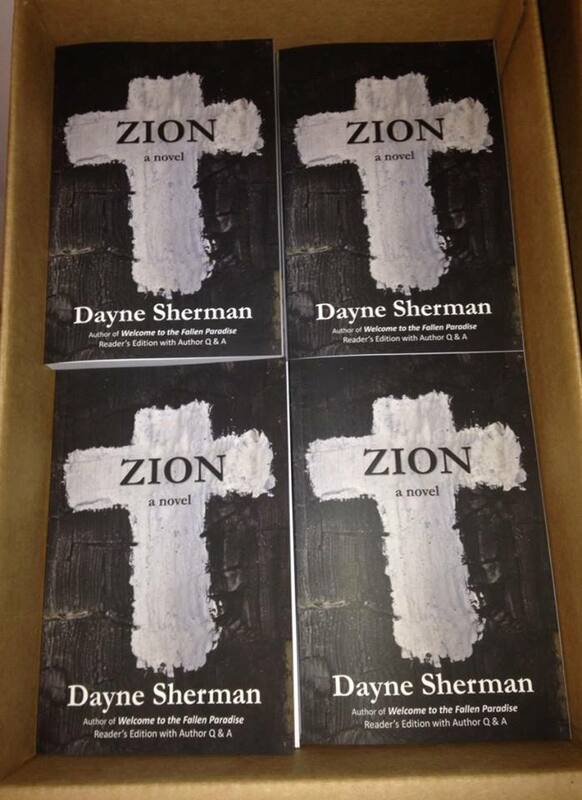 Should you want a signed copy, a First Edition of Zion, the best way is to order direct. Checks made out to Accendo Books for $20, and we’ll handle tax and shipping costs. Or PayPal: accendobooks [AT] gmail.com. The mailing address is Accendo Books, L.L.C. 1905 W. Thomas St., Ste. D., 137, Hammond, LA 70401. 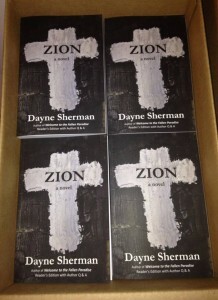 We have plenty of first editions left, and some numbered 1-500. They make great Christmas gifts. Please share. 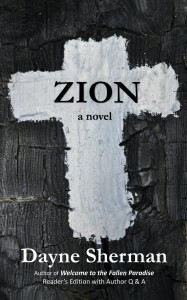 A $2.99 ebook download. Thanks, L. Daniel.